A great white shark has been filmed off the Florida coast. Dive master Corey Embree was with Calypso Dive Charters when they traveled 3 miles (5km) off the coast of Juno Beach to shark dive on January 1. The group began chumming the waters to attract sharks to the dive site known as the Lemon Drop. After they dropped in a chum box, they jumped in the water descending down to around 80 feet. The group saw several nurse sharks and few lemon sharks just before the great white shark appeared. “The shark circled us extremely slowly about 3 times. I thought it was going to come to the [chum] crate at one point, but it turned away,” he said. As he tried to approach the shark, it kept its distance, staying around 30 to 40 feet (9 to 12m) away from Embree. After the white shark left the area, the group headed back to the surface and dove the site one more time. Although the white shark was long gone, the group saw 10 lemon sharks and one nurse shark that arrived later. Great whites have been filmed off the Florida coast on multiple occasions. During 2016 there were two great white encounters in the month of December alone. 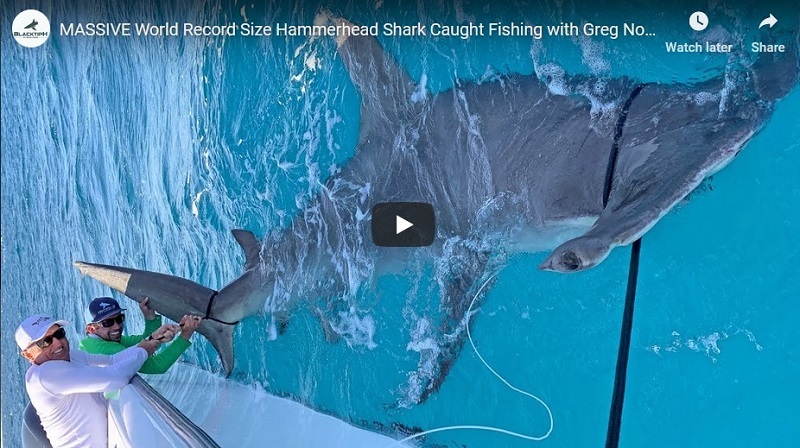 On December 19, an estimated 14-foot (4m) white shark was hooked east of Port Canaveral by a fisherman on the Canaveral Princess. A week before a great white showed up and took a bite out of a mangrove snapper near the area. In May, a 15-foot ( 4.5m) great white was filmed 32 miles off the Ponce Inlet in 120 feet (36.5m) of water. Another 10- to 12-foot (3-4m) white shark was videoed in the Florida Keys in April. The shark swam around a snorkeling tour group for 30 to 45 minutes in just 15 feet (4.5m) of water. In addition Katharine, a female great white shark, was recently tracked off the coast of West Palm Beach. The 14-foot shark was tagged by OCEARCH in 2013. A second shark tagged by the group and given the name George was tracked heading south of Daytona Beach, Florida. Both sharks can be tracked at OCEARCH.org.